We have late model dual sport motorcycles available for rent in Chile. Our motorcycles are maintained to very high standards and are perfect for navigating the various road conditions you will find in Patagonia. 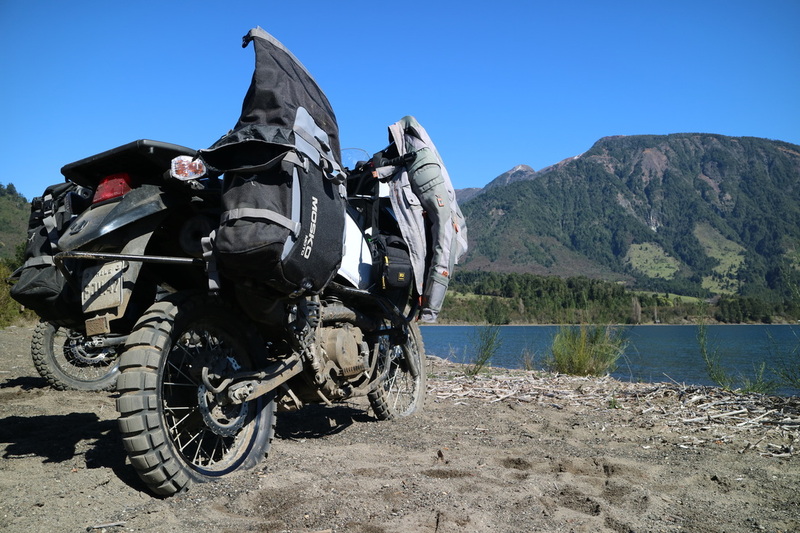 Our motorcycles are set up to travel in Patagonia reliably, comfortably, and safely. We are based in Puerto Varas, Chile and offer rentals for all of Patagonia including into Argentina. We can also arrange one way rentals so you can see all of Patagonia from Puerto Varas to Ushuaia. We also have Motorcycle Jackets and Pants for rent. If you want to rent but didn't bring your gear we got you covered. We offer both men's and women's gear. For just USD 10 per day for Jacket and Pant you can get rolling. Our Suzuki DR650s have been fitted with larger fuel tanks to accommodate the longer distances needed to travel between fuel stops here in Patagonia. All of our multi-day motorcycle rentals will rent travel ready with full Mosko Moto Pannier systems with 70 to 80 liters of capacity for gear and personal items. We can also provide helmets, however for longer rentals or tours we recommend you bring your own, simply for comfort and fitment. Our ideology is to rent you a true travel ready motorcycle. If you have any questions about our rentals or if you have dates in mind and are ready to book please send us an email through our contact page! With a total dry storage capacity of 70/80 liters, the Mosko Moto Pannier system is ideal for multi-day tours and rentals. All of our Motorcycles rentals come with a Helmet and gloves. We use dual sport style helmets. They get cleaned after every use and are well cared for. For longer rentals and tours, we recommend you bring your own gear. It's usually more comfortable this way. 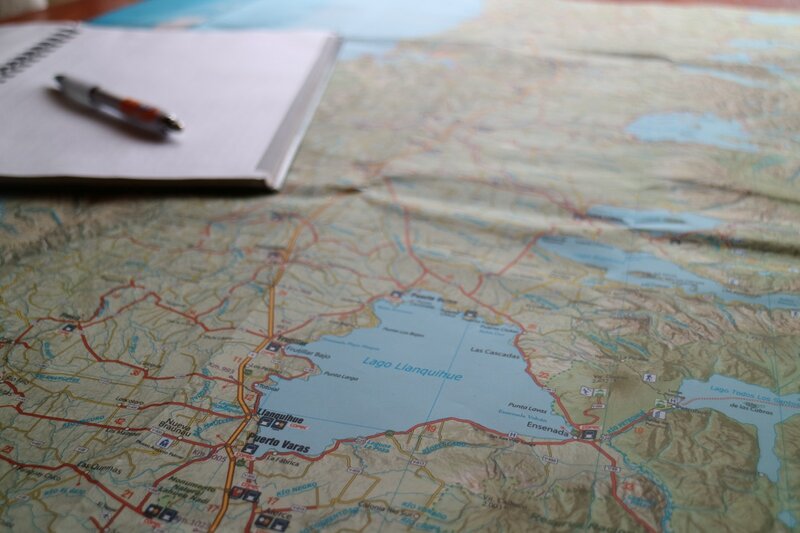 With the latest maps and route suggestions, we will help you plan the perfect journey. 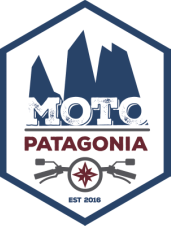 Moto Patagonia was created to share this amazing part of the world one ride at a time. Here are several ways to follow our adventures.